Discover Australia’s most magnificent natural attractions in 5-star luxury. 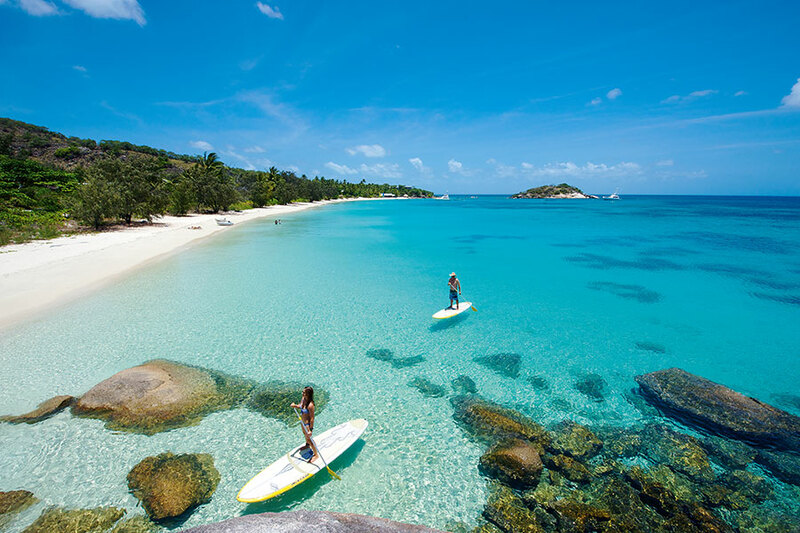 Begin your journey on a private island where you can explore the Great Barrier Reef with no one else in sight. 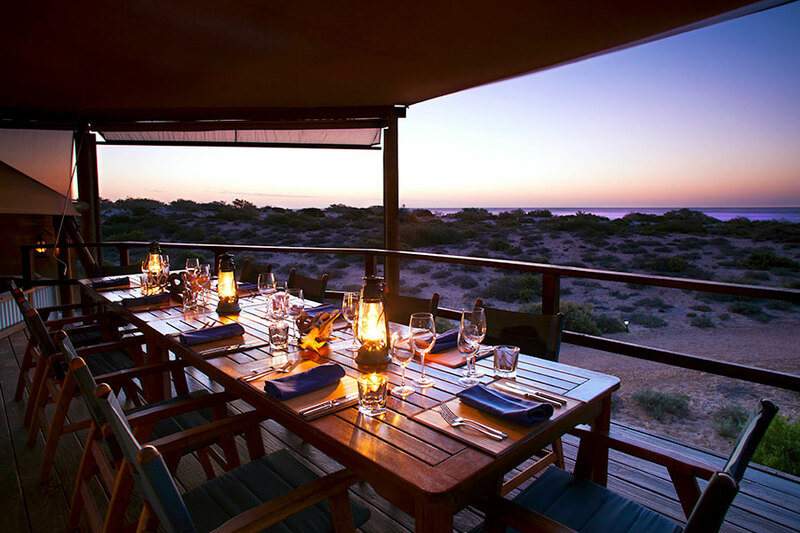 Jet over to Ningaloo Reef to swim with the whale sharks, then indulge in an epic food and wine adventure in Margaret River. We designed this Australian Luxury Vacation: Reef to Reef Adventure for a couple celebrating a 40th birthday. They loved beaches and snorkeling, so we sent them to the Great Barrier Reef and Ningaloo Reef, Australia’s other magnificent reef system. They also decided to do a luxurious food, wine, and nature adventure in Margaret River for an off-the-beaten-path experience. Their Australian Luxury Vacation: Reef to Reef Adventure began at the Great Barrier Reef. 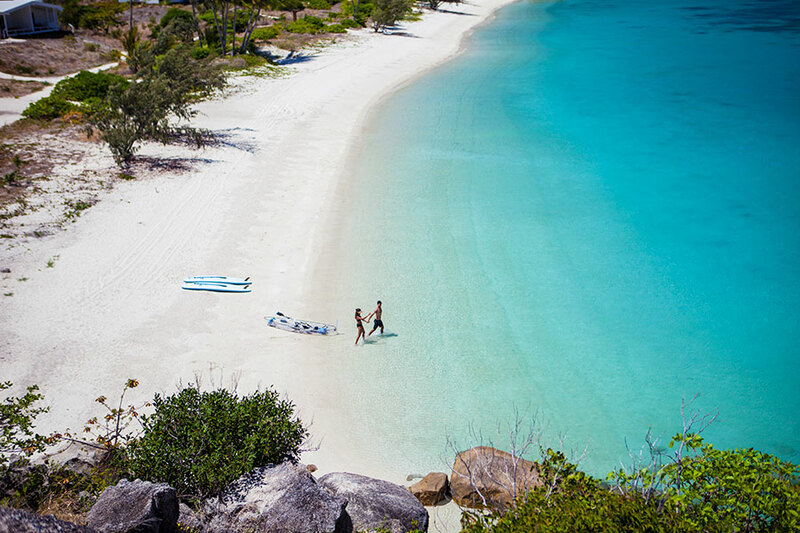 Since they wanted to avoid the crowds, we sent them to the exclusive Lizard Island Resort, a fabulous resort located on the Great Barrier Reef itself that offers some of the best snorkeling in Australia. They spent a day exploring the reef in complete privacy, taking one of the resort’s complimentary motorized dinghies to white sand beaches with no one else in sight. Next, they traveled to the other end of Australia to see Ningaloo Reef. 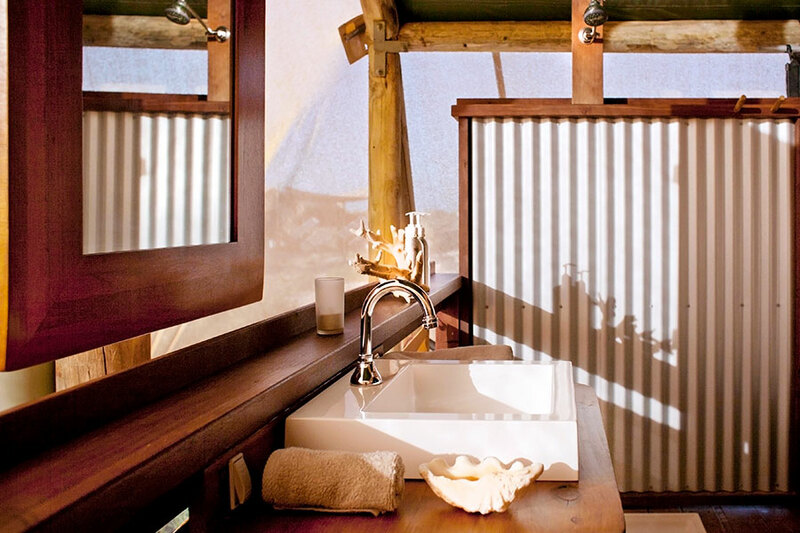 They stayed at Sal Salis, a unique eco-luxury camp with unparalleled reef access. The big draw of Ningaloo Reef are the gigantic whale sharks that migrate through the waters each year. At Sal Salis, swimming with the whale sharks was included at no extra cost, and it was a highlight not only of this trip, but of all their extensive travels! 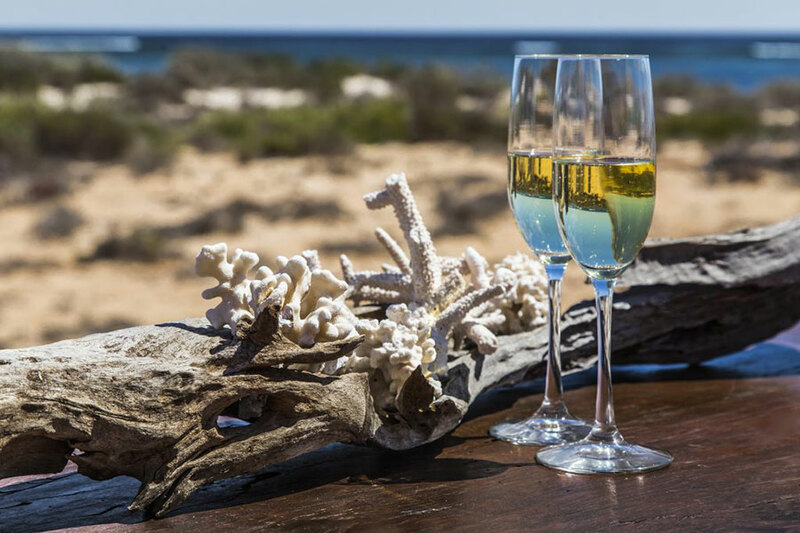 Continuing their Australian Luxury Vacation: Reef to Reef Adventure, they made their way down to Margaret River, a remote, coastal region of Western Australia that produces some of the country’s finest wines and farm-to-table cuisine. They spent 4 days exploring the most stunning regions of the Cape to Cape Track on foot with Walk Into Luxury. 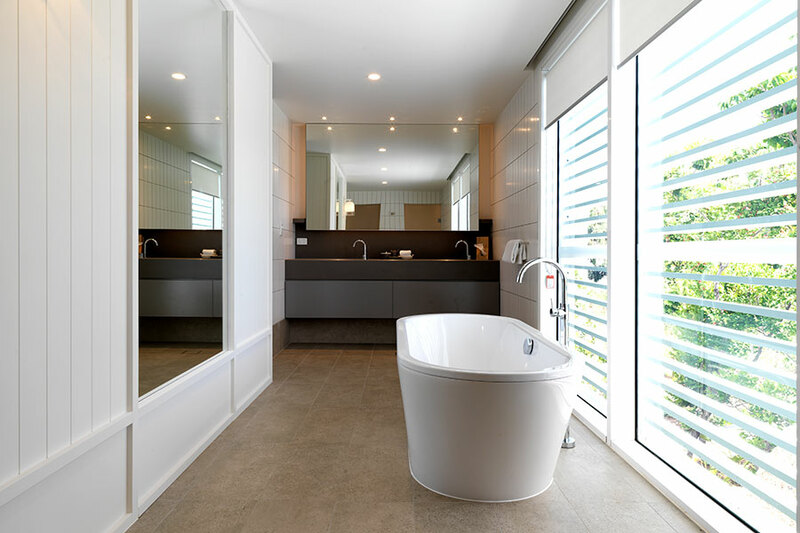 Their days were spent on easy walks through absolutely breathtaking coastal scenery, and in the evenings they relaxed in a luxury villa at Indijup Spa Retreat with a private ocean view plunge pool. The adventure was also packed with exclusive food and wine experiences showcasing the best flavors of the region. 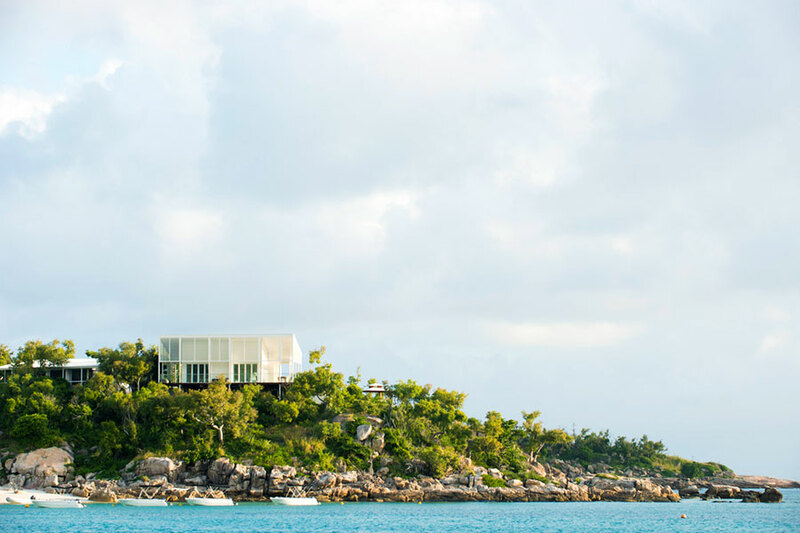 Their Australian Luxury Vacation: Reef to Reef Adventure was a dream come true, with a perfect mix of exciting new experiences and luxurious relaxation. They returned home with beautiful pictures and memories to last a lifetime! Welcome to Australia! Fly into Cairns, the gateway to the Great Barrier Reef. 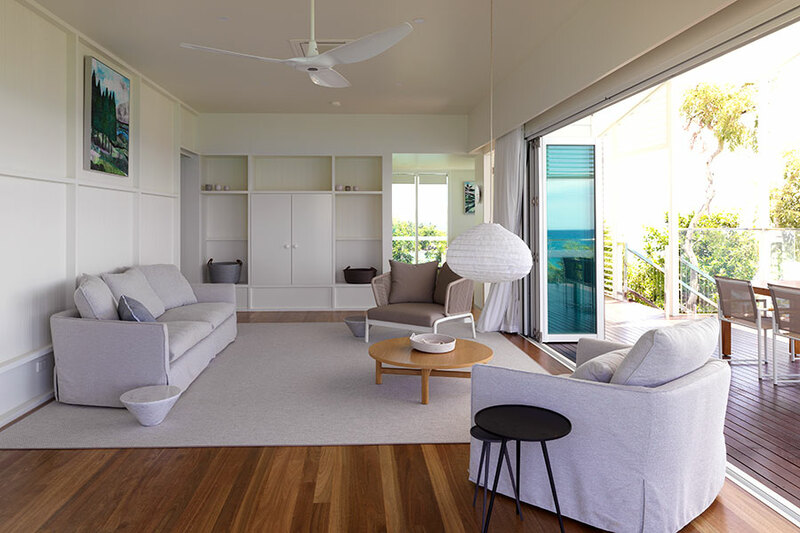 On arrival, you’ll be met at baggage claim and escorted to your next flight, a scenic excursion over the Great Barrier Reef to your luxury island resort. Watch the majesty of the reef unfold below you in countless shades of blue and green, and take in the full scale of this magnificent natural wonder. 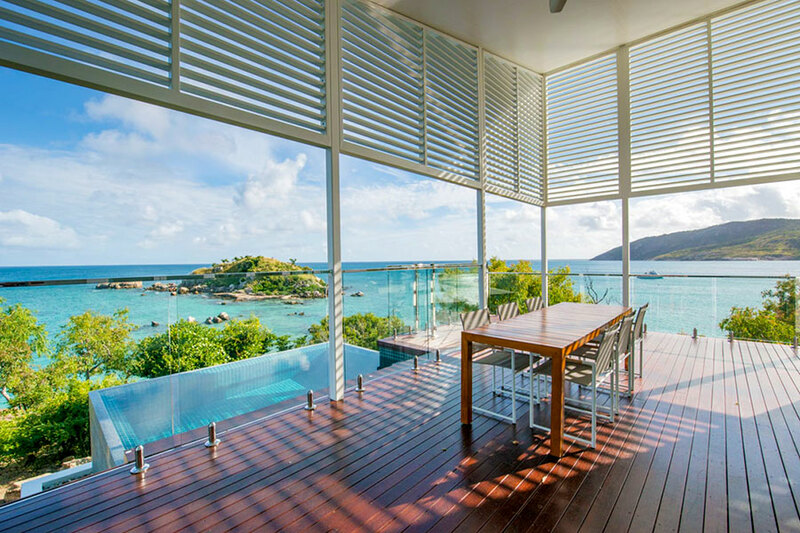 Land on Lizard Island, a luxurious resort located on the Great Barrier Reef itself and your home for the next 4 nights. The next 2 days are yours to spend at your leisure, doing as little or as much as you wish. 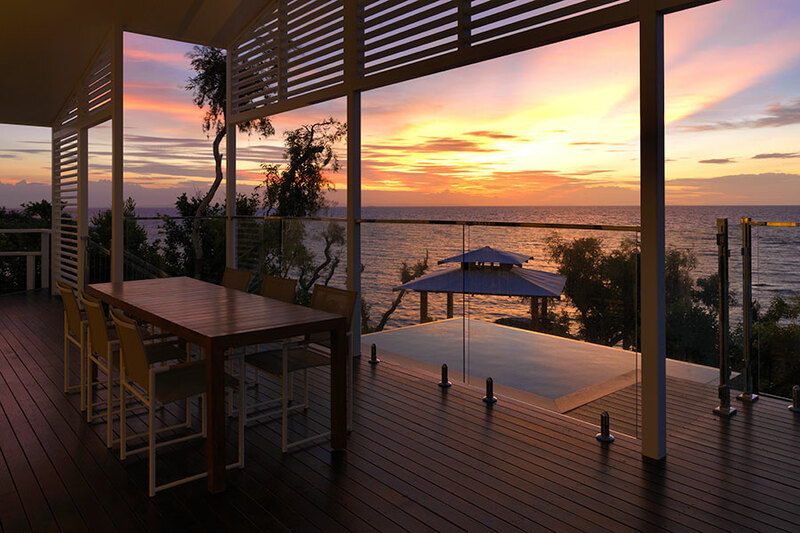 Enjoy unparalleled access to the Great Barrier Reef, just steps from the beach—no long boat rides required! You can snorkel, dive, or view the reef from a glass-bottomed kayak. 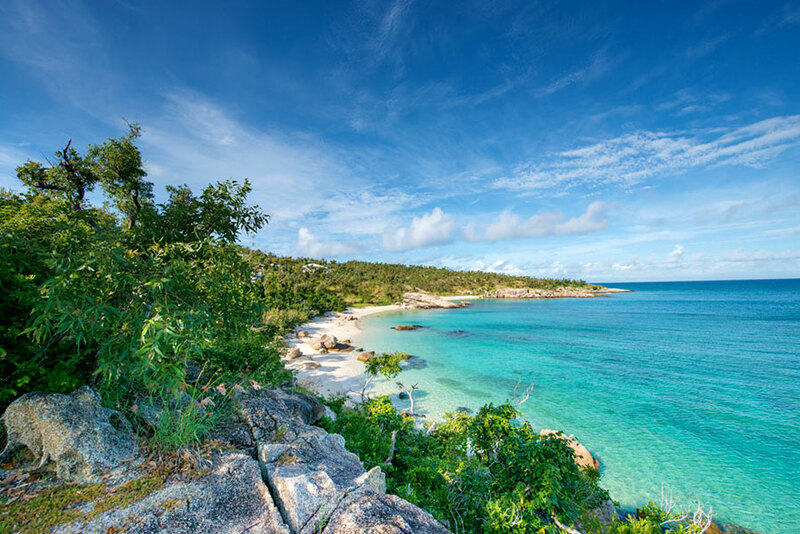 With 24 private, white sand beaches, there’s always a secluded spot where you can explore or enjoy a romantic moment surrounded by natural beauty. 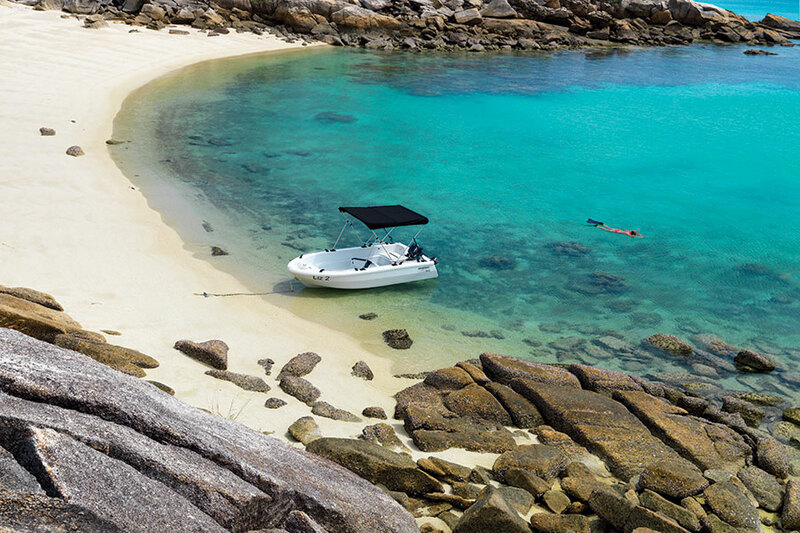 You can even take out your own private dinghy for the day to explore hidden beaches and snorkeling spots with no one else around. Back at the resort, a refreshing swimming pool, gorgeous rooms, gourmet food and wine, and plenty of picturesque views are waiting for your enjoyment. Take in the Great Barrier Reef from above once more as you fly back to Cairns. The day is free to explore this sunny and cosmopolitan coastal city. Today, journey from one end of Australia to the other to explore the wonders of Australia’s other magnificent reef system: Ningaloo Reef, just off of Australia’s western coast. Your home for the next 3 nights is Sal Salis, one of the most remote luxury lodges of Australia. 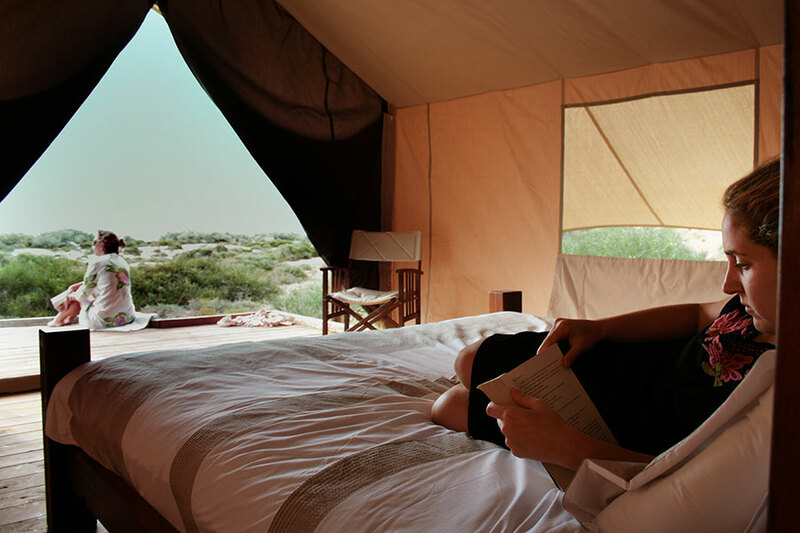 Sal Salis is the ultimate luxury camping experience, with 5-star tented accommodations in an exclusive location; guided snorkel trips, kayaking excursions, gorge walks, and more; and all meals and beverages included in the room rate. April through October is the best time to go, when the whale sharks are out in the waters and you can go swimming with these gentle giants. 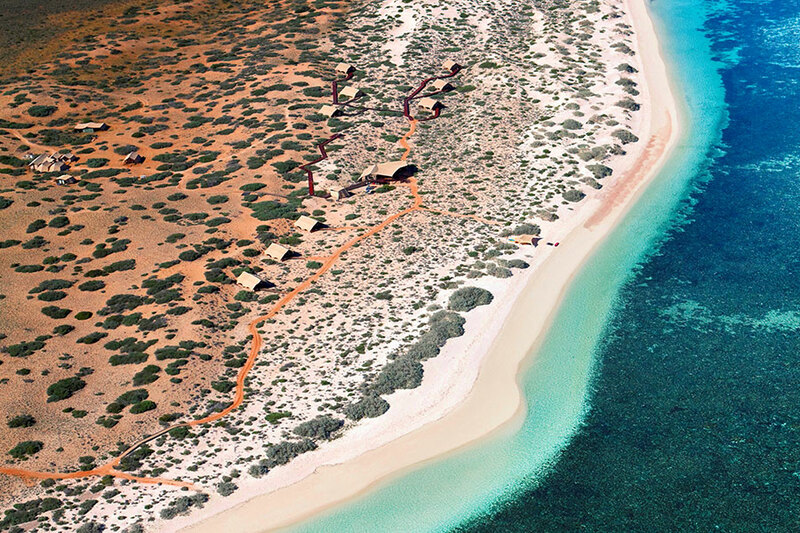 Snorkeling and swimming are available right off the beach, one of the great benefits of heading to Ningaloo. 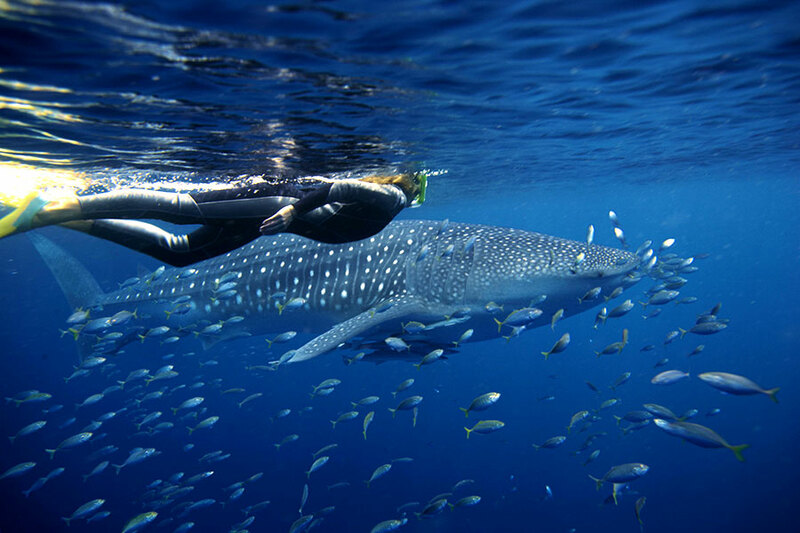 The next 2 days are at complete leisure to enjoy Sal Salis, with whale shark swimming included from April to October. 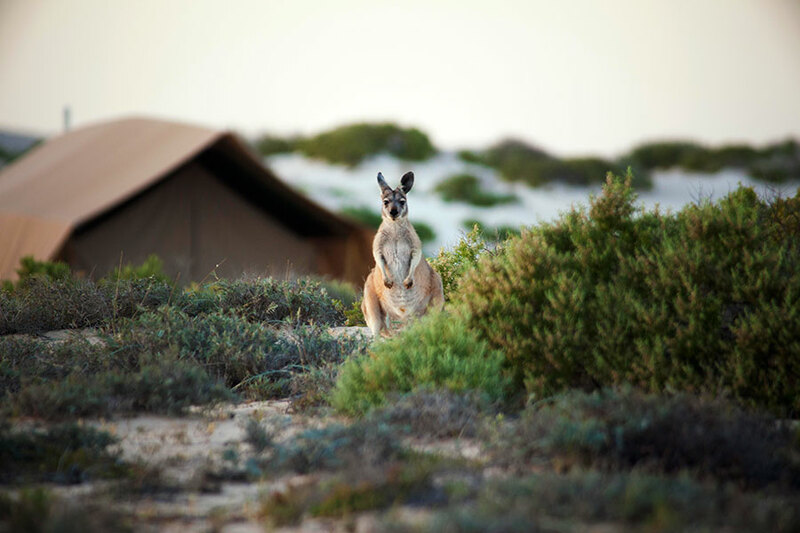 In addition to the coral reef, the coastal dunes and gorges in the Cape Range National Park provide an amazing wildlife experience, with red kangaroo, dingoes, echidnas, emus, and more seen in and around the camp. 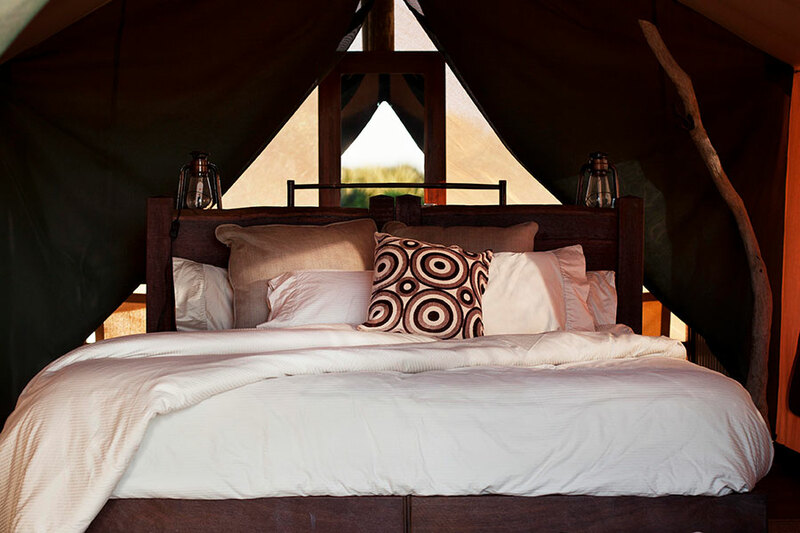 Safari guides are available to provide a truly immersive wilderness experience. 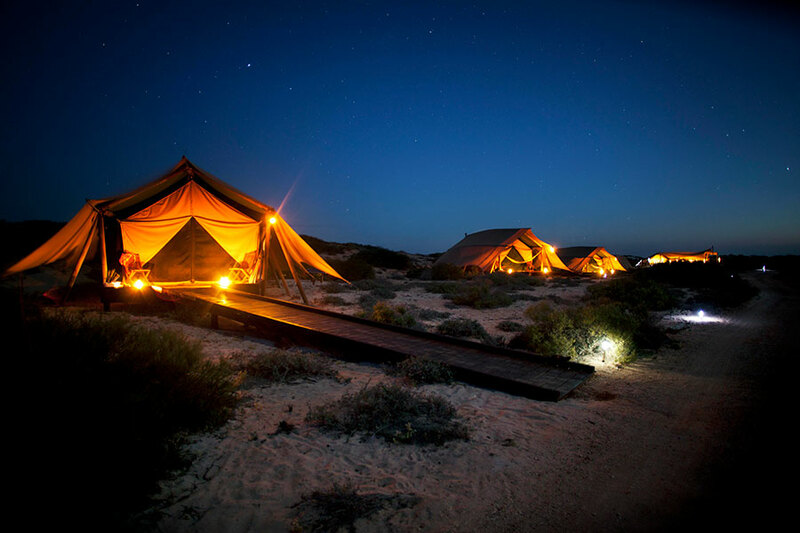 Back at camp, you’ll enjoy delectable cuisine and a selection of fine Western Australian wines in a stunningly beautiful setting. Enjoy a private transfer to the airport, where you’ll fly back to Perth for the night. Your luxurious hotel has everything you could need onsite: an enormous resort-style pool, day spa, 24-hour casino, 32 restaurants and bars onsite, a nightclub, and more. Today, it’s on to Margaret River, the hidden gem of Australian wine country. 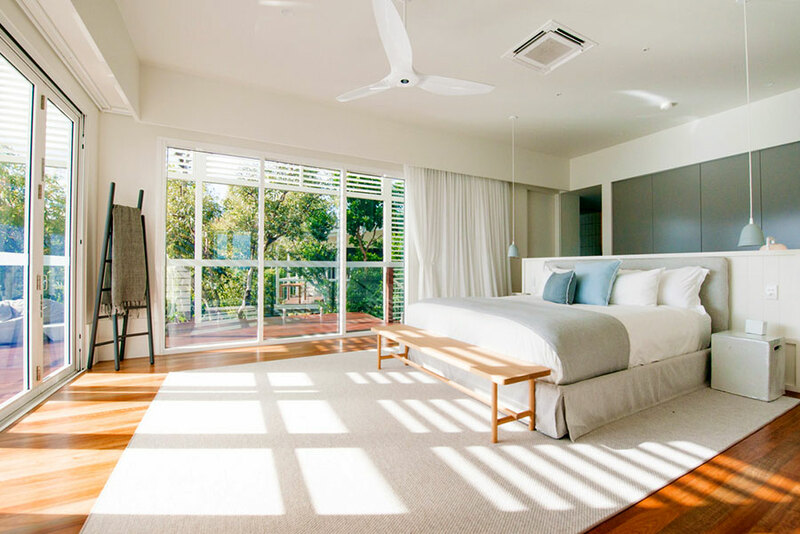 A private transfer will bring you to the car depot, where you’ll pick up your rental car and drive approximately 3 hours along the coast to the heavenly Indijup Spa Retreat. 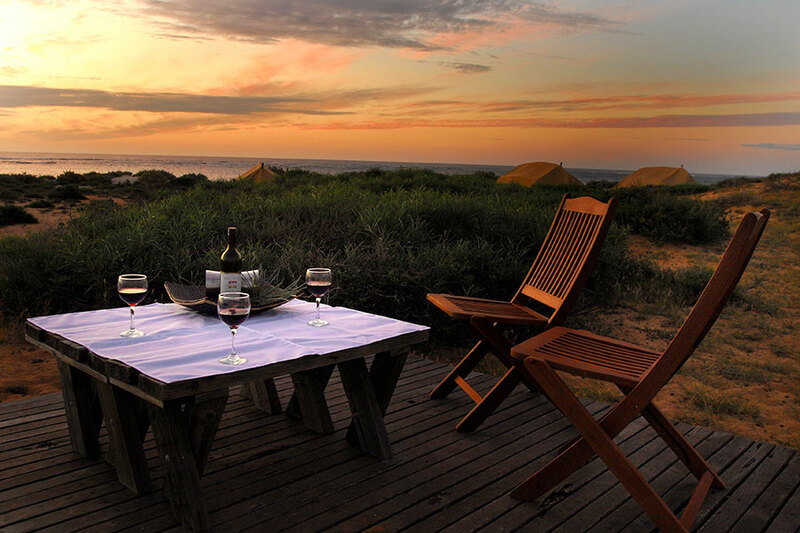 Situated on a secluded beach in the heart of the Margaret River wine region, Injidup is a true oasis. 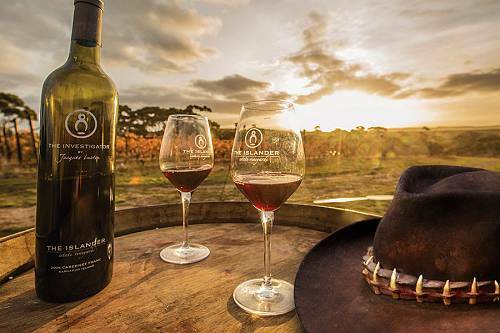 You’ll receive a complimentary bottle of local wine and gourmet breakfast hamper on arrival. 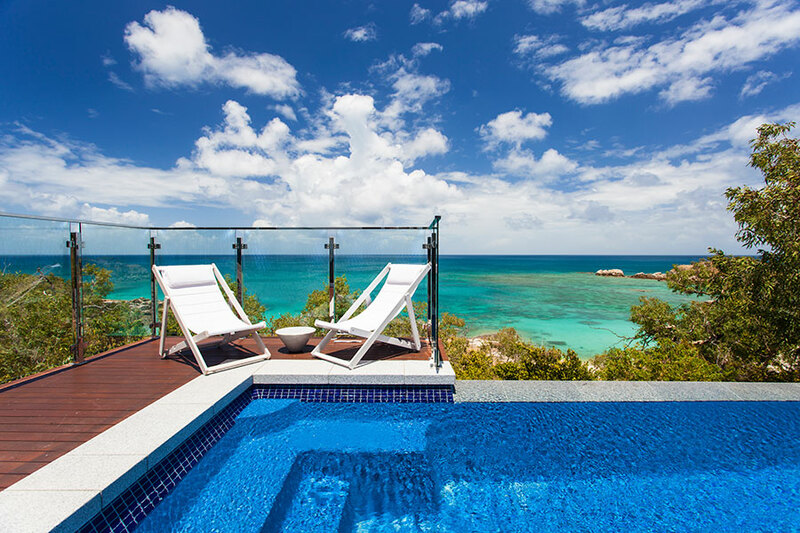 Unwind in your luxury villa, with your own private plunge pool overlooking the ocean. Over the next 4 days, you’ll experience the most scenic portions of the famous Cape to Cape Track, an absolutely stunning walking trail following the coast. Your small-group guided tour combines 4 days of easy, scenic walks with luxury accommodation, gourmet food and wine, and local experiences. Start your experience today with a 5.5km walk from Smiths Beach back to Indijup Spa Retreat, with lunch and a swim along the way. Later, you will be transferred to award-winning Rusticos @ Hay Shed Hill for a multi-course dinner with Margaret River wine matches—a magical evening of food and wine overlooking the vines. 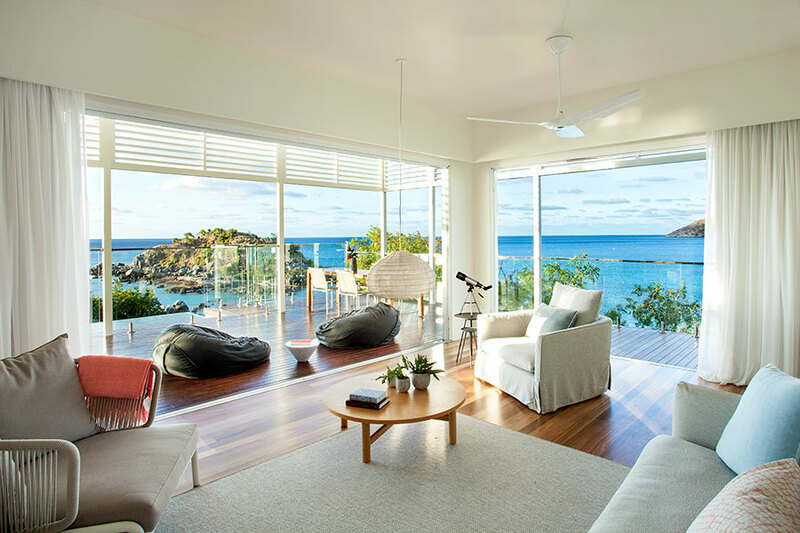 After a gourmet breakfast hamper in your villa, you will make your way to Cape Naturaliste, stopping at Ngilgi Cave for a mesmerizing didgeridoo performance from one of the region’s Aboriginal Traditional Owners. 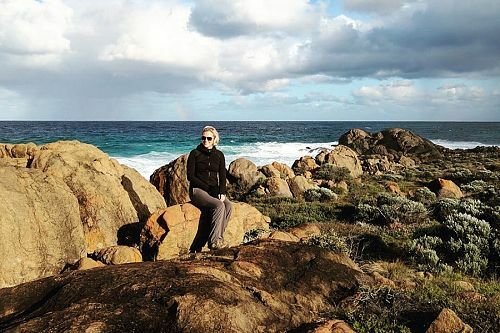 This morning, walk 14km along the limestone coastline from Cape Naturaliste to Yallingup, with famous surf breaks visible from the clifftops along the way. After a rest back in your villa, or perhaps a massage at the onsite spa, meet your group for sunset drinks on the clifftop in front of Indijup. Afterward, enjoy a quiet evening with gourmet dinner hamper provided to enjoy in your room with wine. Today’s walk is arguably the most stunning, taking in the 13.5km section of track running from Redgate Beach to Boranup karri forest, with gourmet lunch hampers on the track. 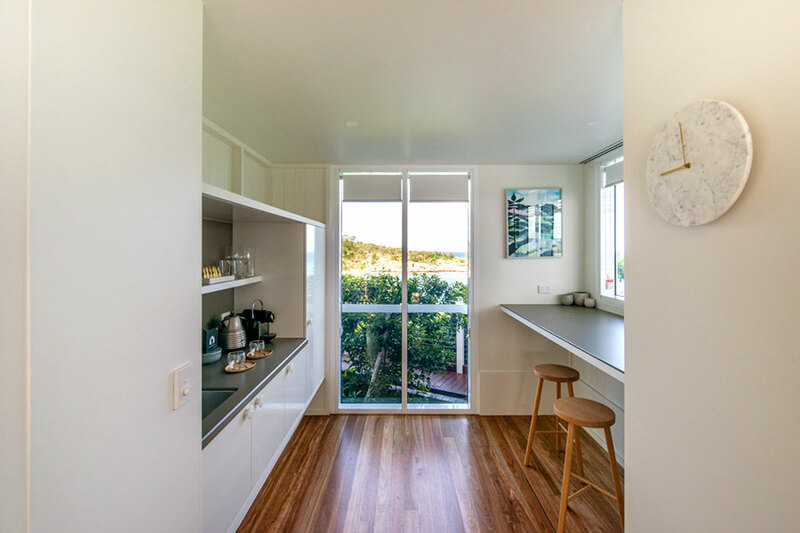 You will be dwarfed by the karri trees and marvel at the jaw-dropping views from the clifftop above pristine Conto Beach. 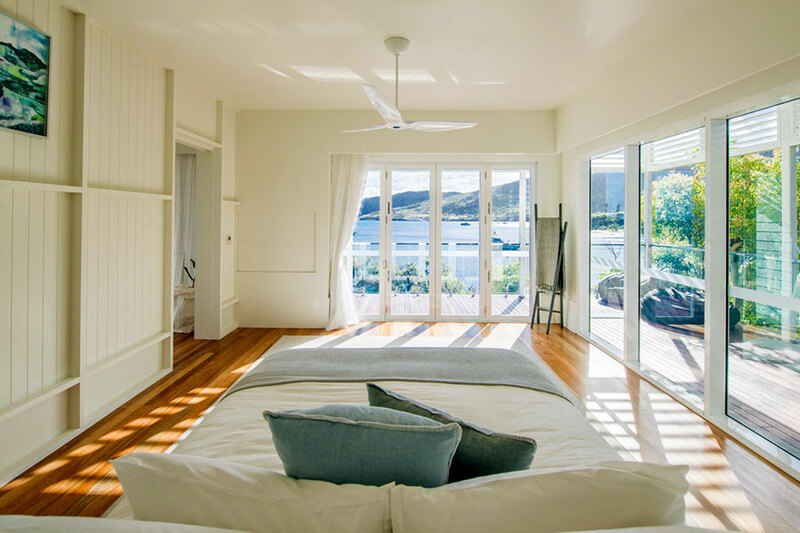 Return to the retreat and have some free time to relax before a private chef and local winemaker meet you in the lounge. The chef will showcase exceptional local produce over a 3-course dinner, while the winemaker introduces you to some amazing local wines. 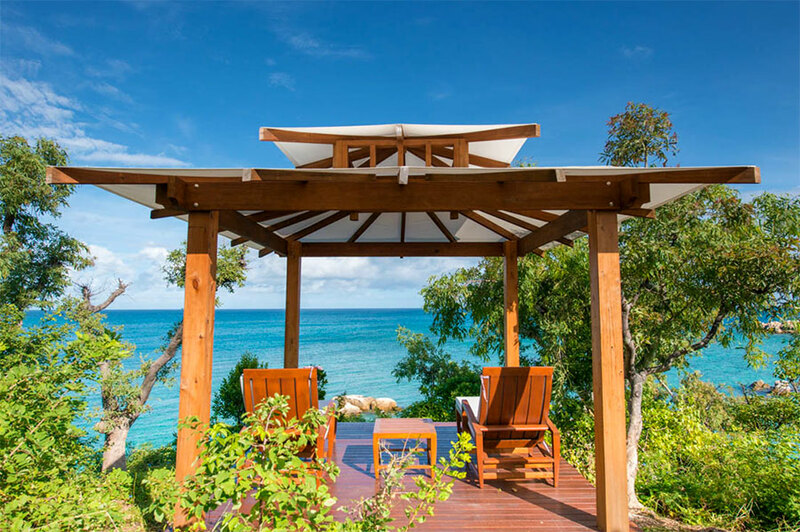 After one last gourmet breakfast in your villa, you will be transferred to Moses Rock for your 8km walk to Wilyabrup Sea Cliffs. Witness the wild Indian Ocean waves crashing into the granite rock formations with the turquoise hues standing out against the orange rock. Having completed your walk, you’ll have earned the lunch that is to follow at award-winning Wills Domain winery. Enjoy 4 courses with premium wine matches overlooking vines and the Gunyulgup Valley—a fitting farewell before you’re transferred back to Indijup for your final night of Western Australia luxury. Today, your Australian luxury adventure comes to an end. Drive back to Perth, where you’ll drop off your rental car and begin your journey home. From awe-inspiring sights to fresh regional flavors, this 5-star vacation showcases Australia’s most indulgent highlights. Soak up the vastness of the remote outback, sample fine food and wine in the Barossa Valley, uncover Melbourne’s hidden gems, and unwind in serene spa country. 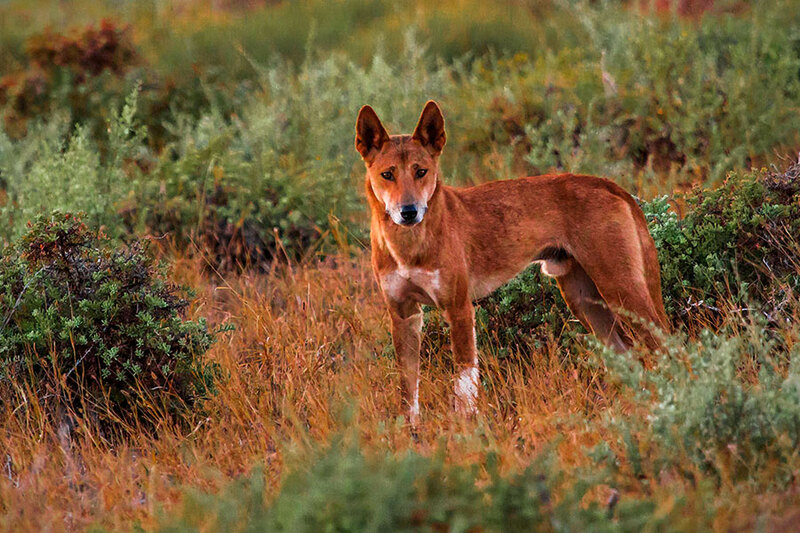 Venture to remote outback wilderness where few tourists go, without sacrificing creature comforts. 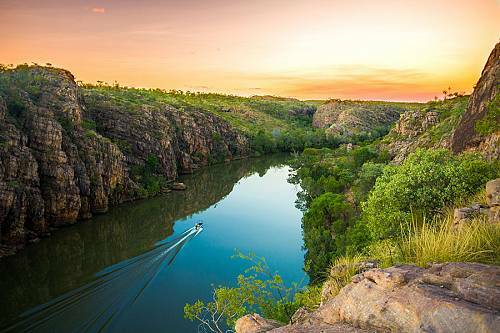 Cruise through pristine wetlands on an airboat, heli to the top of Kimberley waterfalls, blaze new trails in El Questro, and more!